Detailed yoga classes with practical asanas their benefits with meditation and acupressure and theories. Relax, Refresh & Rejuvenate 7 and 14 Days Yoga Retreat in Rishikesh, India Going on a yoga holiday is a great opportunity to release you from everyday stress. At the same time, there will also be incredible nature to indulge in. 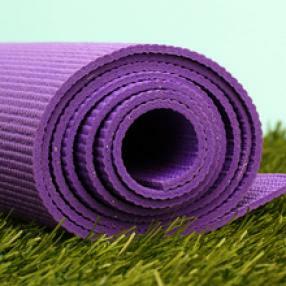 You will get to practice yoga twice a day and do fun activities in your leisure time. We guarantee you it will be a totally refreshing and nourishing experience! Join this journey to heal and strengthen your body in the beautiful India! This will be a wonderful opportunity to nourish your body - mind and achieve a better quality of life. You will have authentic and personalized Hatha and Ashtanga yoga lessons along with detox and de-stress therapies, no matter your age and experience. This retreat enables you to integrate the manifold facets and benefits of yoga with asanas, meditation, pranayama, deep relaxation, yogic kriyas and more into your daily life. What does the course fees include : 350 USD ? Teaching starts from early in the morning. Respect the rules and regulations Arogya Yoga School. Before departure from Arogya Yoga School, students must return all books from the library. Non veg. food, smoking and drinking alcohol are not allowed on the Arogya Yoga School premises. Focus on one issue every day. Find your sequence .